Fun local things that my kids and I enjoy that are fun, close, and relatively inexpensive. 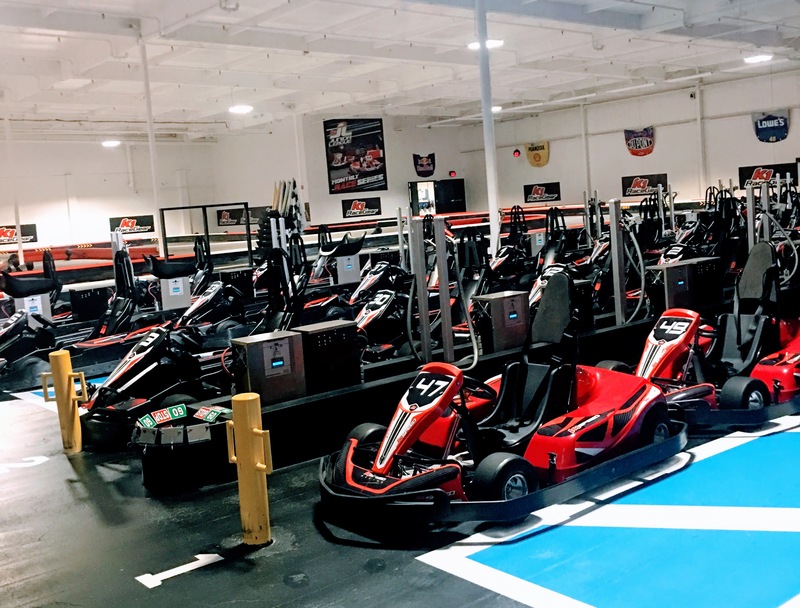 K1 Speed Electric Go-Carts racing is an exhilarating place to spend the afternoon with the kids. The Go-Carts are fast they go 45 miles per hour. The kid Go-Karts go 25 miles per hour. The course is very turny you can spin out easily. The Go-Karts are all electric so you don’t get that gas smell like you do at other places. The interior of K1speed is very nice, clean and the staff is friendly. The cost is kind of high but they do offer specials during midweek and I bet some Groupons will be coming out shortly. They just opened this location it’s a bit hidden off Sierra Ct in Dublin, CA. It is right behind the auto body shop first left of Sierra Ct, coming from Dublin Blvd. California High school water park in San Ramon is perfect for a day of swimming. The location is at the Cal High School in a residential area of San Ramon, CA. The facility is beautiful and very safe for kids. There are lifeguards on just about every corner so if your children is older than seven and can swim you can just drop them off. There is one water slide, and it is a rather fast, it shoots water at you when you approach the bottom. There are two diving boards, one high dive, and one standard diving board. There is also a cool kids pool that has just about everything that you would expect at a children’s pool. The children’s pool has a great mini water slide with water squirting everywhere. Near the main water slide, they have a blow up called the splash and dash. The splash and dash is an obstacle course which is in the water so if you don’t make it all the way through you fall into the water. This activity costs extra money and you are given an individual wrist band to go onto this course. There are two times during the day when the swimming pool is open 12:30 am-3:30 pm on weekdays and 12:30am-4:30 pm on weekends. Evening hours are between 7:00pm-8:30 pm, and usually not too crowded at this time. The splash and dash is closed during the evening hours. Everyone who enters the water park is required to pay the entrance fee. The daily entrance fee per person is $5. But there are many different deals that they have and lots of different ways to save. For example, you can buy a forty visit swim pass for $170 and save 15%; this pass is good for two years. 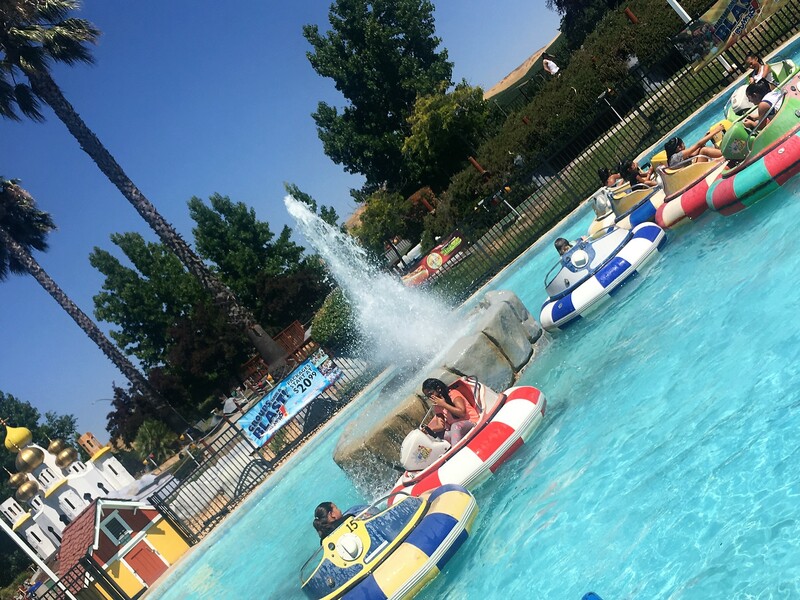 Rock-n-Jump in Dublin, CA is a great place to take the kids to get their energy out and get out of the heat. The trampoline based park is in a warehouse facility located off 580 HWY Hopyard exit in Dublin CA. The trampoline park is large, and they have a great dodgeball area. The dodgeball area only allows a certain number of kids in and if you get hit your out and have to get back in line for the next game. It is super fun and pretty competitive. There is an also a large free jump area, rock wall, basketball hoop. The front area has lots of couches, TV’s, and tables for parents to sit and relax. The dodgeball area is next to the front, so as a parent you can watch the competition. For younger kids, they have a toddler jump area Tuesday & Wednesday from 9:00 AM to 11:00 AM and Saturdays from 8:00 AM to 10:00 AM. Parents have to sign a waiver for all kids under 18 to release Rock in Jump from liability. You have to bring socks to jump they have special Rock-n-Jump re-usable socks to buy for $3.00 with extra gripping on them. The cost varies so check out the website, but the average is $16 an hour. Sometimes you can get a Rock in Jump Groupon, but be sure to check the fine print on the Groupon because it is usually limited days and times. Boomers in Livermore, CA is fun for the entire family. It is located right off the 580 HWY, Airway exit. They have a great game room filled with tons of video games for all ages. Also a laser tag area. They always have the air conditioning on at full blast so bring a jacket or just step outside it usually kind of hot in the summer in Livermore. Outside is also filled with fun activities. They have Go-Karts racing. To drive Go-Karts, you have to be 58 inches. Thus, most 11-year-olds can drive. If the child is under 58 inches, they can still ride in the passenger seat with a parent or a taller friend. They are not very fast but still lots of fun. Also outside, they have bumper boats that squirt water, and you can get soaked, so it’s a good idea to bring an extra set of clothes. The bumper boats move very slow, and it is easy to get trapped and have people soak you, and you can not get away, super fun for kids not so much for adults. They have a great miniature golf course you can do after the bumper boats to dry off. There is a food court with your typical junk food, but there is an In-N-Out burger and an excellent Mexican restaurant around the corner. It is a great place for a Birthday party, you must have a minimum of 10 people, and they have different packages available, but kids are sure to remember the party and have a blast. They regularly send out coupons so sign up for their newsletter otherwise check the website for pricing. This park is great if you don’t want to spend any money and just want to bring the kids to run around and have fun. The best thing about this park is the zip line. It is one of the longest in the area even the older kids like it. It is one of the newest parks in the Daughtery Valley in San Ramon. The city must have spent a fortune on it. They have a fantastic water splash pad area usually open 11 am to 6 pm in the spring and summer, water shoes are recommended. They have both a toddler and bigger kids area, so little ones don’t get trampled by the big kids running around. The play structures are unique and fun. The park is 22.89 Acres and has great soccer and baseball fields usually filled with San Ramon club teams so check with the city before you just start playing. They also have a community center where you can rent out rooms to host parties or events and can seat up to 200 guests check the website for availability and prices.